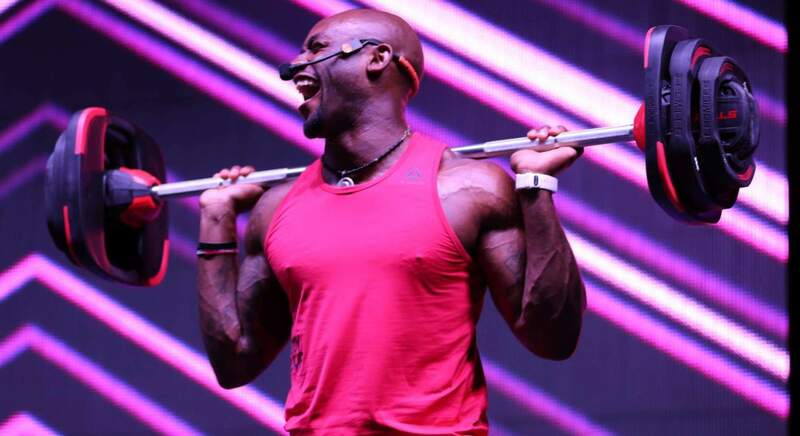 Whether you're looking to shred for summer or simply become a healthier person, these top fitness joints will sort you right. For outsiders of the gym circuit it's easy to believe that it's a mandatory pre-requisite for regular gym rats to flaunt their status as such by donning activewear almost every hour of the day, having a stash of protein powder hiding in the cupboard, and having deep and meaningful conversations reflecting on how much they've lifted. It's also easy to believe that a gym experience should consist of entering a room perfumed by the stale sweat of the thousands who have shredded for New Years between those walls, where tediously repetitive movements should be undertaken in order to become 'bikini body ready' — whatever that means, and where instructors preach words like 'health' and 'wellbeing' yet do nothing to correct your posture or tailor the workout to your particular physical needs/potential injuries. Luckily, these following gyms are not like that at all. These are the gyms that are there to make you a healthier person as well as knowing how to keep you interested in coming back for a long time yet — which is why we made a list to pay tribute to them. A gym for those who like being challenged. Run by Olympic boxing coach Cam Todd and Olympic boxer Alexis Pritchard, the Wreck Room’s ethos is to build strength and endurance through boxing and complimentary functional conditioning group fitness training. Boxing classes cater for the absolute individual all the way to advanced boxers interested in sparring, while fitness classes incorporate a mix of being strength-building focused to being endurance and strength focused. Props in these functional fitness classes include giant tyres and weighted medicine balls, making the classes feel quite akin to Crossfit, but without the same health and safety concerns since weights aren’t ridiculously heavy and class sizes are generally quite small so the instructor keeps an eye on you. A Crossfit-lite, if you will. Meanwhile, the boxing classes involve a rotation of endurance building exercises and work on the bags as well as shadow boxing. All in all it’s a really decent gym well suited to those who like boxing, being mentally stimulated while they train and doing challenging and fun functional training instead of using finnicky machinery. The New Zealand-bred sweat empire. Out of all the gyms currently existing in the Auckland health and gains ecosystem, the New Zealand-bred sweat empire Les Mills is by far the most well known. Started in the 80s by Phillip Mills and named in tribute to the founder’s father, Les Mills (an Olympic athlete and ex-Mayor of Auckland), the gym chain has now sprawled across New Zealand with twelve gyms countrywide — half of those are dotted across Auckland alone. 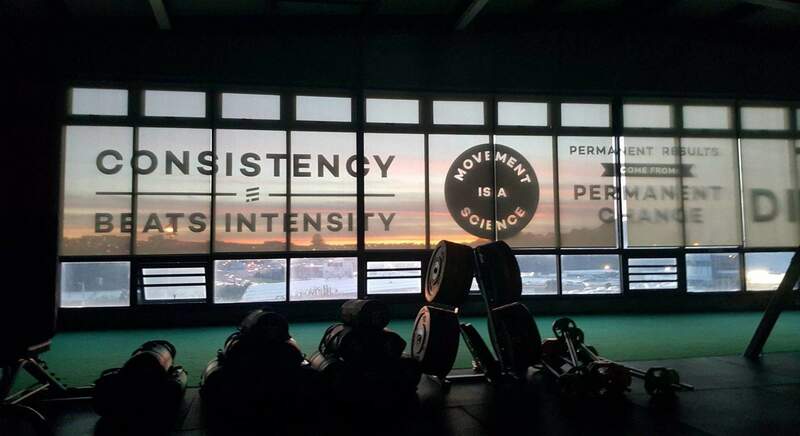 The Les Mills empire also extends beyond its various physical sites, the gym’s choreographed exercise and music combos such as BodyAttack, BodyPump and BodyBalance are also regularly imported by other gyms. Les Mills is a giant of the Auckland fitness circuit and it’s easy to see why. Prices are mid-range, facilities are clean with some nice add-ons like straighteners and hair dryers in the bathrooms, instructors are well trained and generally very safety conscious. The gym’s facilities cater for a wide range of fitness enthusiasts — from those looking to shred for New Years in the weights area to those into toning up through group fitness classes or those who just want to run along a treadmill while a giant screen plays music videos in front of them. With great success comes great crowds (especially in the group fitness classes) and the gym doesn’t really have much of a personal touch, but it’s a decent deal in terms of price and the variety of exercise equipment and activities on offer. A gym for the suits. Habit Vero is a gym for the suits. Right in the heart of town, with 45-minute classes for those who only have an hour’s worth of lunch break, the gym caters to the corporate crowd and does it well. Their exercise classes are filled with interesting fitness classes in order to keep gym-goers on their toes. Classes include barre, FCT (functional circuit training), a bootcamp class, TriggerPoint (a self-induced Swedish massage which will leave you crying tears of pain and then emerge more mobile than you’ve been in years) and TRX (a navy SEAL-created exercise circuit based around large rubber bands). Other more conventional options include yoga, pilates, dance classes and spinning. The gym also offers a sauna, a physio and nutritional advice. Habit Vero is clean, well equipped and decently priced for its top inner-city location. It’s a hard one to fault. Come for the Olympic sized pool, stay for wide range of other features. The Olympic’s history started back in 1940 when New Zealand’s first 50-metre swimming pool was installed. A decade later, the pool hosted the Commonwealth Games, where Kiwi Philippa Gould set New Zealand’s very first swimming world record. The Olympic-sized pool then later had an entire gym built around it and it was imaginatively named The Olympic. The key feature of the gym, the giant Olympic-sized pool is not only impressively long, but deep as well. Beginner scuba divers are regularly trained in its 4.4 metre depths, giving a regular swimming session a bit of a surreal twist. 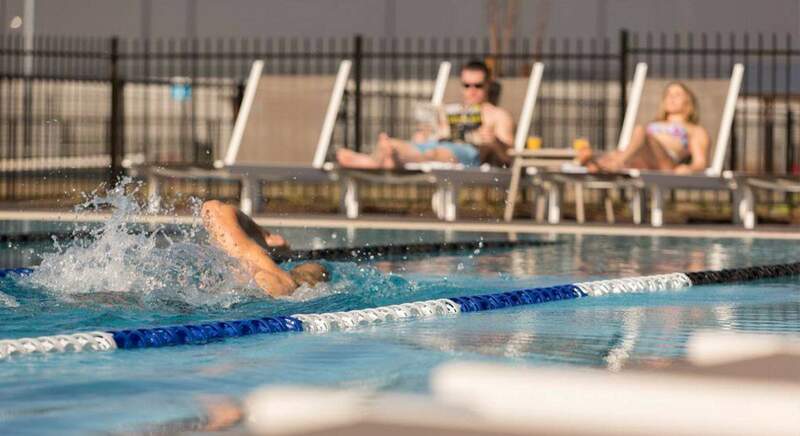 Besides entry to its huge pool, a membership at The Olympic includes access to fitness classes, gym equipment in its membership plan. Classes are highly engaging and guarantee you won’t be leaving your sweat towel unused. A gym with a mission to create a healthy environment for you to achieve your fitness goals. Kingsland’s Habitat for Fitness is a highly engaging, small group-focused gym with a “mission is to challenge the norm of what Kiwis believe a ‘gym’ is”. Habitat for Fitness serves gym-goers one of three options: functional training sessions, more conventional exercise classes or a private session. 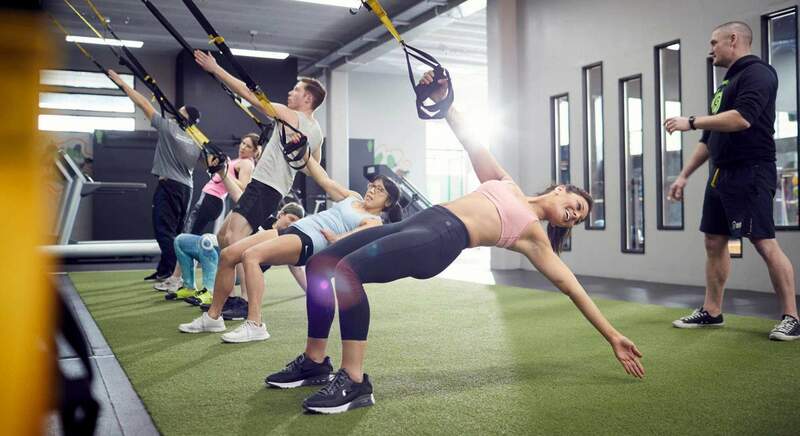 Functional training classes on offer include Gravity, which is a TRX-suspension based class using participants’ own weight as resistance; and Warrior, which “combines dynamic functional movements and high intensity cardio intervals” to get you toned faster. Conventional classes include a boxing class structured on the HIIT model, a specific class dedicated to train your booty, a weight lifting class as well as barre, yoga, dance fitness, spin and pilates classes. The gym also has a small dedicated workout area for those not interested in joining in on a class and personal training options. Habitat is a gym where training never gets boring, which is why we’ve rank it as one of our favourites in Auckland. Quite possibly one of the best gyms on the North Shore. A bit hidden away in a slightly derelict strip of shops in Albany is quite possibly one of the best gyms on the North Shore. Classes are semi-private sessions of a maximum of six clients to a trainer and involve free weights, gravity suspension training, cycling, resistance training, mat work and a few other activities to get your heart beating faster while you burn some calories and build some muscles. The benefits of a smaller class size also include Epic Fit’s more tailored approach to their clients. The gym specifically caters for anyone with any particular sports injuries, disabilities or any kind of condition that requires a bit more of a personalised approach. Instructors also ask every client at the start of every session about any particular aches or concerns they have to ensure that training doesn’t aggravate those injuries. An intimate, private boutique gym with a holistic approach to health. The intimate, private boutique gym which goes by the name of The Exercise Room takes a holistic approach to health, checking in on not just your fitness, but also your diet and habits. The small scale gym is a halfway point between having a personal trainer and a regular gym membership, with a couple of group fitness classes and a boot camp option added to keep things interesting. Besides being heavily personalised, the gym is also very flexible — 24-hour gym access means that nearby night shift-working nurses or other folk who work insane hours can easily be accommodated. Membership is also limited to ensure you never have to wait for a machine or feel self conscious having other people watch you grunt your way through a tough session. Private bathroom suites with GHD straighteners means none would be the wiser if you snuck off between meetings to do a bit of exercise for the sake of your health. The Form Room is a Ponsonby-based boutique gym set up by Sarah and her partner Jordan which focuses purely on offering tailored, personal training services and where long-term health considerations trump a short-term fall in numbers on the scale every time. The couple are invested in making you a healthier, more functional person, not just the aesthetic results from your gym sessions. At each session at The Form Room, Sarah and Jordan focus on bringing in further tiny tweaks in your posture, muscle activation and so on — slowly but surely optimising your physical performance. Although the couple train kickboxing professionals to CEOs with back problems, you’ll probably see neither as each session is highly intimate, with a maximum of four people in the gym at any time and visits by appointment only. Besides physical training, The Form Room also offers nutritional guidance and carefully monitors your diet as well as your body weight, fat and muscle mass, making it a genuinely holistic health centre. It feels good to sweat here. 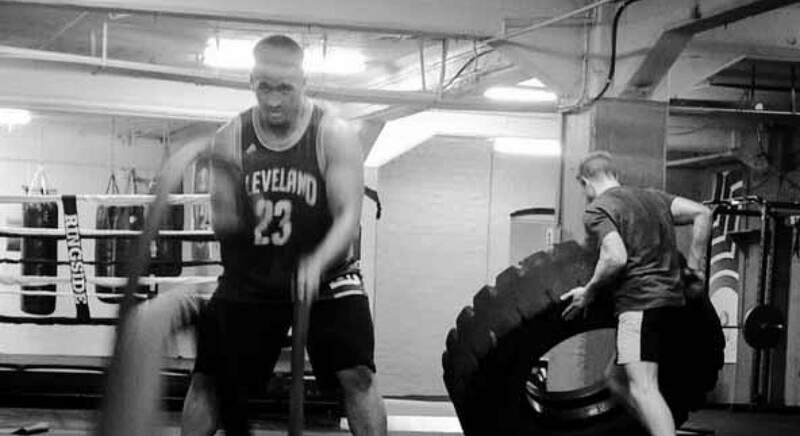 Pictures of Muhammad Ali line the gym brick walls while some of the highest rung boxers of the New Zealand men and women’s circuit train in the ring and beginners go through basic drills on the boxing bags next door. The place is gritty, yes (don’t expect fancy toilets with straighteners or a too impressive shower), but also strangely homely. Trainers are incredibly encouraging and supportive, but also tough. It feels good to sweat here. Boxing Alley’s ethos is built around functionality — from day one you’ll be getting conditioning and learning proper boxing techniques, even if you don’t ever aspire to spar. What that means for classes is that they are high intensity, highly fun and quite mentally challenging as well. 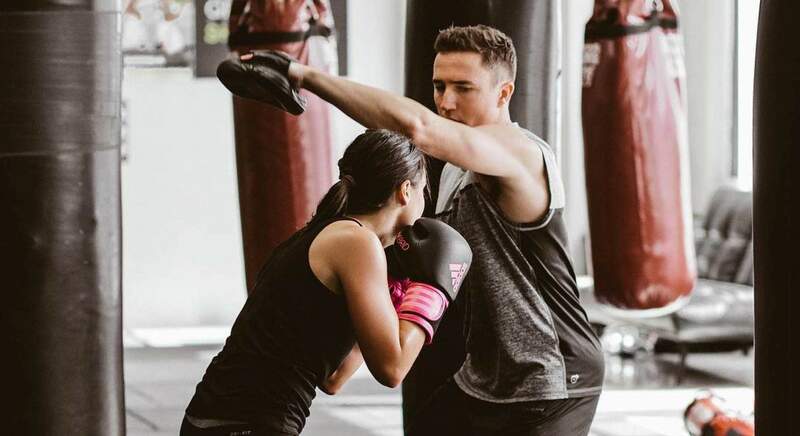 Class options include corporate, group and personal training sessions and Boxing Alley’s alumni includes anyone and everyone — including some of the Warriors and Kiwi Victoria’s Secret Angel Georgia Fowler. The gym that literally has it all. 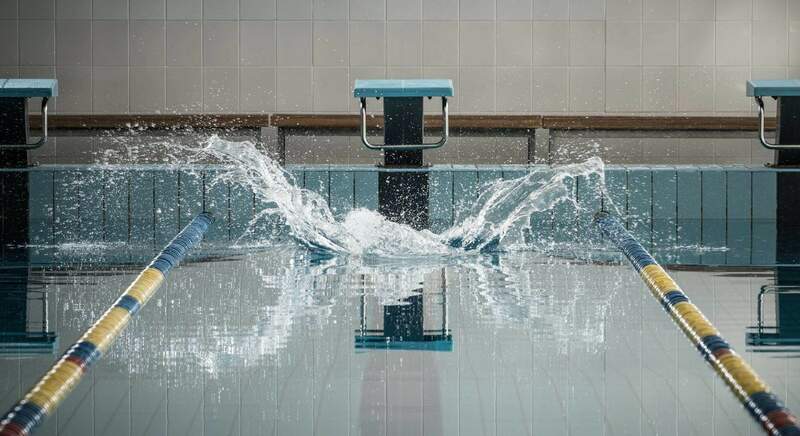 With a 25-metre heated indoor pool as well as a 25-metre heated rooftop pool; a spa and sauna; nine outdoor tennis courts and three indoor tennis courts (as well as private tennis lessons); a studio with small to medium-sized group fitness classes (including HIIT, boxing, barre, a free weights class, yoga, pilates and spin); a large weights area equipped with a TRX functional fitness zone, a dedicated free weights area and various high end gym gadgets; a crèche to leave your kids at while you exercise; fancy bathrooms with GHD hairdryers and straighteners; and free/relatively cheap parking (depending on your membership plan) — there is literally no feature that this gym doesn’t have and doesn’t do well. Further unofficial but very welcome bonuses to membership includes being able to watch the annual ASB Classic for free from atop the gym’s rooftop pool area. The only drawback this gym has is its price tag. A gym for gym class junkies. For those who would rather not go to the gym in order to just be left to their own devices on various clunky machinery or drown amongst the crowds in group fitness classes which cater for the masses, District Fitness, found on the third floor of Queen’s Rise, is your kind of gym. The entirely fitness class-based boutique gym features cycle-based fitness classes, including a HIIT circuit on a bike, a virtual cycle class and one which incorporates hand weights. Then there’s 30 and 45-minute HIIT classes as well as yoga, pilates and barre classes. “We really care about the wellness of our clients. We want our clients to feel as though they’re a part of a family — a fitness family — each supporting one another in whatever health and fitness goals they have set. We have small class sizes to ensure everyone is performing exercises correctly and getting the most out of their session with us.” said Angus Campbell, the Managing Director of District Fitness. Functional training with a strong community aspect. The thing about Crossfit, and which draws the crowds, is that it’s incredibly fun. You’re mostly too busy having fun to realise that you’re actually being a total badass for clambering up gym ropes and carrying heavy yokes around the room. 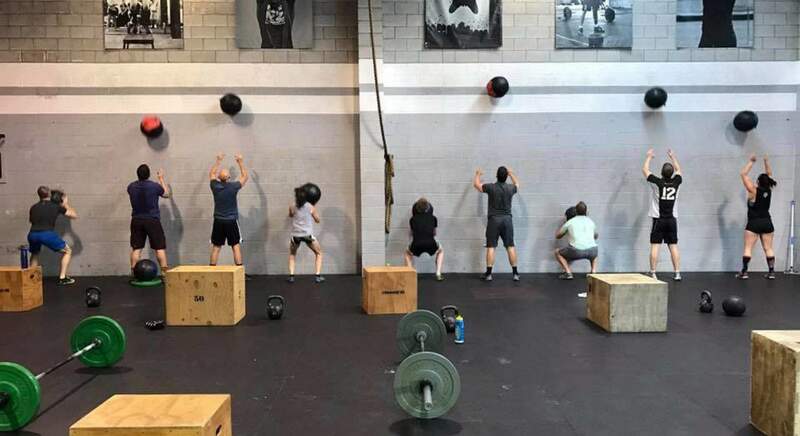 “Our workouts combine the best parts of weightlifting, gymnastics, and endurance training, to keep your body guessing, and you motivated”, said the owners of Crossfit NZ. Another thing Crossfit does really well is it creates a wonderful little community around each time slot. People get very close at Crossfit. Some even get married. Many, actually. Disclaimer: Due to the emphasis on heavy strength work and high intensity training, be sure to do your research and find well-qualified coaches and reputable gyms to avoid injury or strain. For some Crossfit has been a life-changing, healthy pursuit, while others have left the functional training gym behind due to injury. Proceed with caution. A gym for those who'd like a dent in their waistline but not their wallet. One of Auckland’s oldest gyms, the YMCA is affordable and offers what you would expect from a gym and does it to a decent standard. It’s also one of the most community-minded gyms in our city. YMCA’s community service includes lending their basketball court to the City Mission sports teams as well as pre-fame Lorde for her ‘Royals’ music video. The gym is super tidy and pretty well equipped as well as having all the regular types of group classes you’d expect from your regular gym — spin, yoga, pilates, boxing, small group training and functional training. They also do boot camp training sessions for those motivated by gritty team training sessions or personal training sessions for those who prefer one-on-one attention. Everything on offer at the YMCA is at a fraction of the cost you’d pay at almost any other regular gym, but if you still struggle to get your coins together for a membership, they also do confidential fee assistance to make your health doesn’t fall by the wayside just because your wallet won’t cooperate.